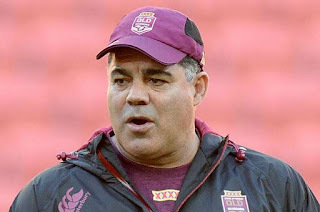 SYDNEY, 16 JULY 2108 (AAP) – Mal Meninga doesn’t care where the Australia-Tonga rugby league Test is played, he just wants it to happen. The Kangaroos coach is confident the historic match, which would see Cronulla star Andrew Fifita face off with his former national teammates, will go ahead later in the year. Meninga suggested the game could be staged in New Zealand following the Kangaroos’ Test with the Kiwis in Auckland on October 13. “I think everyone wants it to happen,” Meninga said in Canberra on Friday. “It hasn’t been budgeted for within the game’s financials so they’re working through all options at the moment, what venues they are. Suncorp Stadium looms as the most likely venue, but Meninga also floated Sydney and Melbourne as potential hosts. Tonga are desperate for their first shot against the Kangaroos and they boosted their chances by defeating Samoa in front of almost 18,000 people at Sydney’s Campbelltown Stadium in June. Fifita has been joined in the Tongan team by North Queensland star Jason Taumaolo. The Sharks forward said that Tonga was ready to take on Australia. “It’d be a massive game if we can get it on,” Fifita told AAP in June. “Looking at last year I went and played for Australia and there was barely anyone in the crowd for Australia and New Zealand down in Canberra.